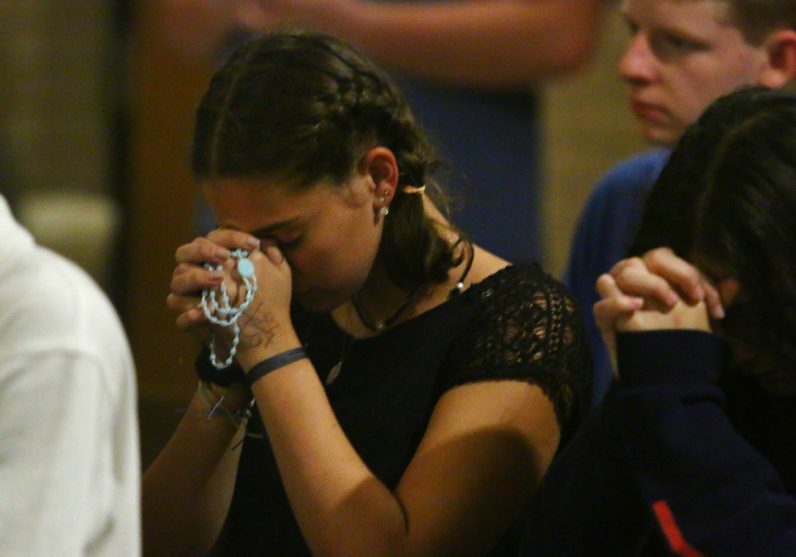 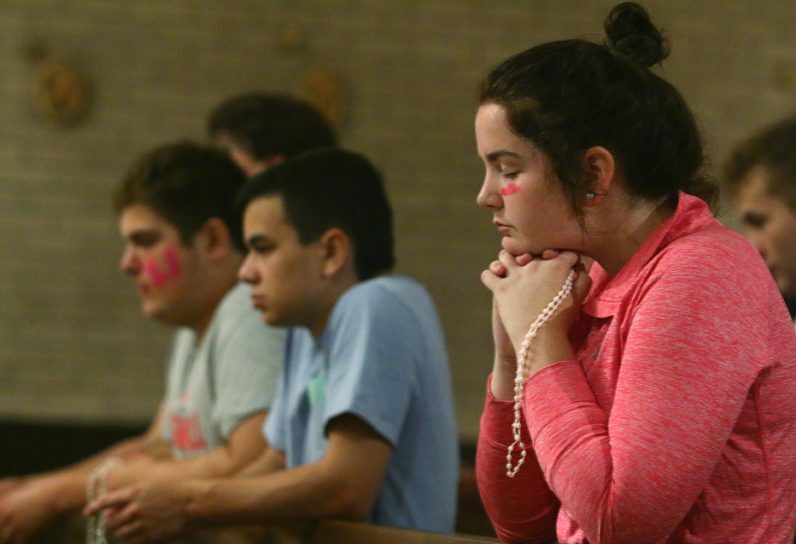 A new spirituality outreach is helping teens at Archbishop Carroll High School find God in both the Eucharist and in each other. 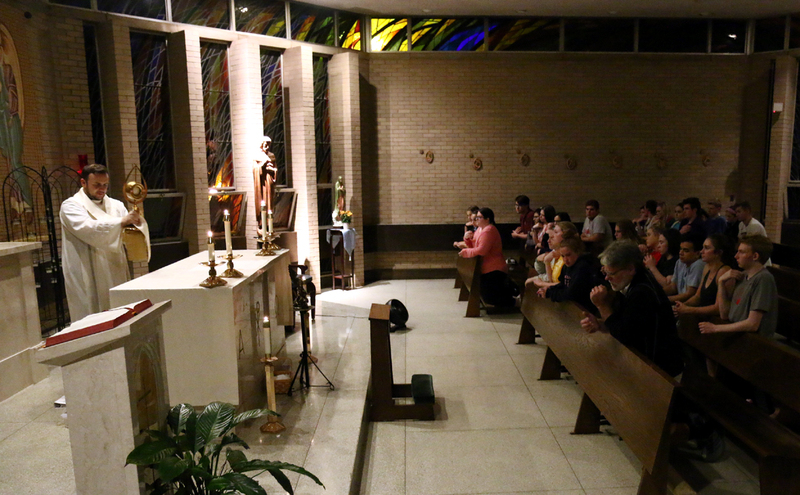 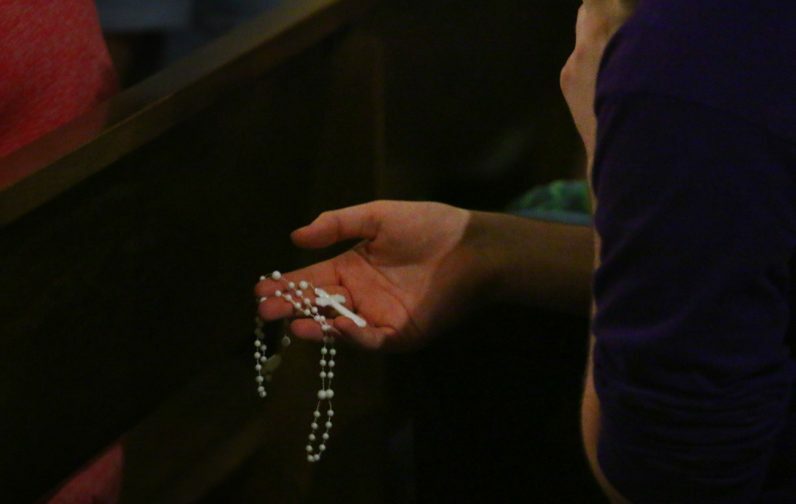 Initiated by students as a follow-up to popular Kairos retreats, the Genesis Program offers weekly sessions of prayer, worship and faith-sharing under the guidance of campus ministry director Father Michael Speziale. 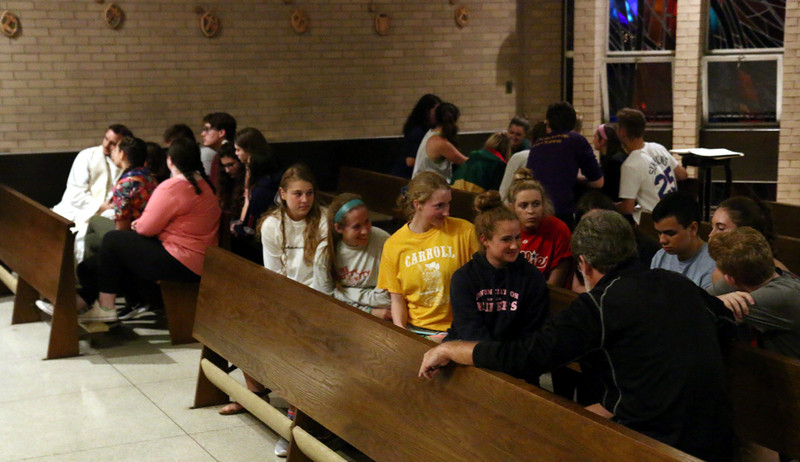 The gatherings include socialization over snacks, helping students to build relationships with both God and each other. 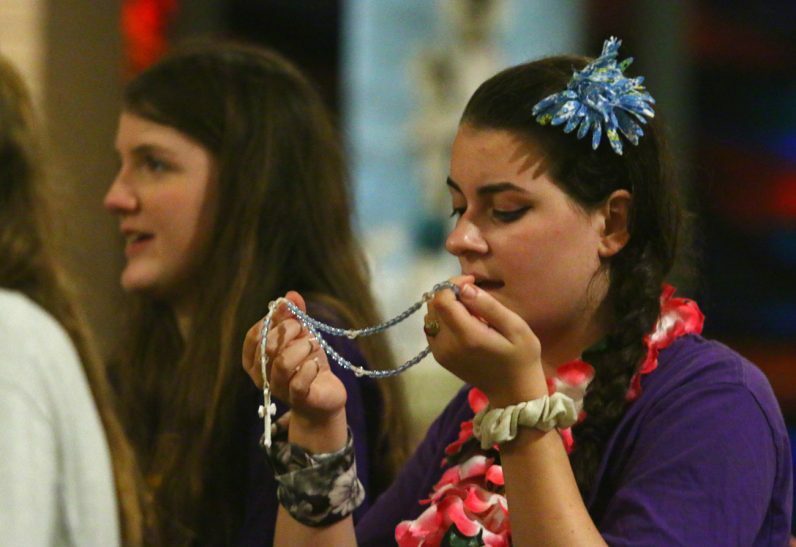 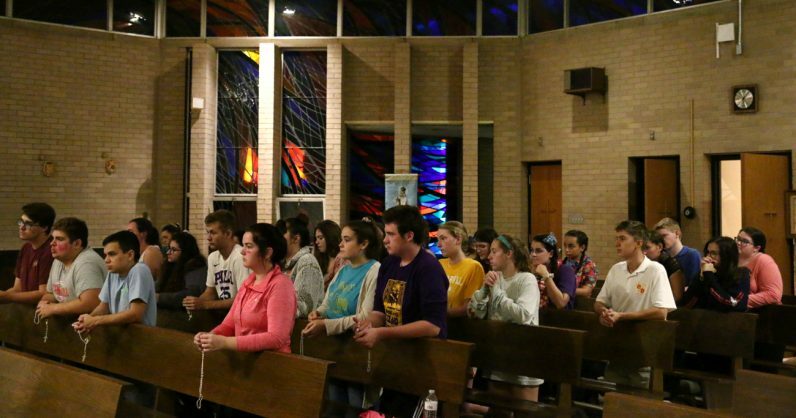 Kate Maginnis prays along with fellow students at Archbishop Carroll’s Genesis group. 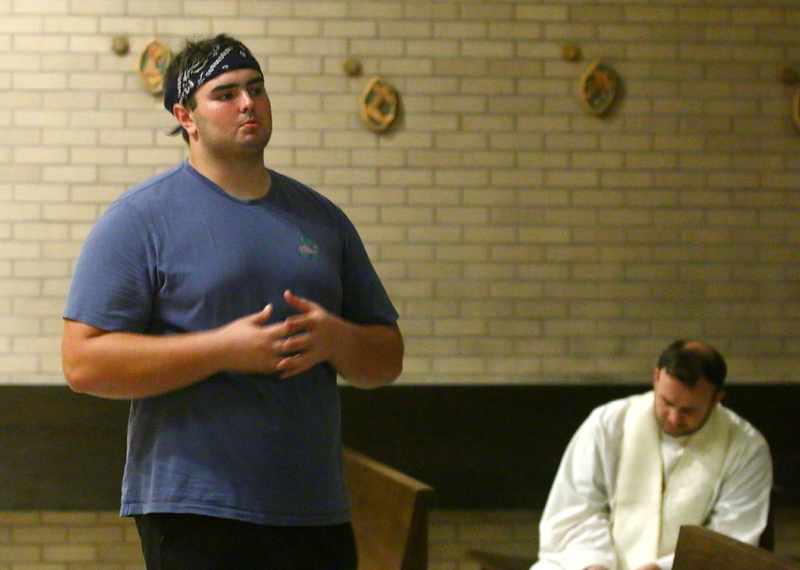 Senior Kevin Cone leads Archbishop Carroll’s Genesis group meeting on Tuesday, Oct. 2. Students in the Genesis program break into small groups to discuss the evening’s reflection. 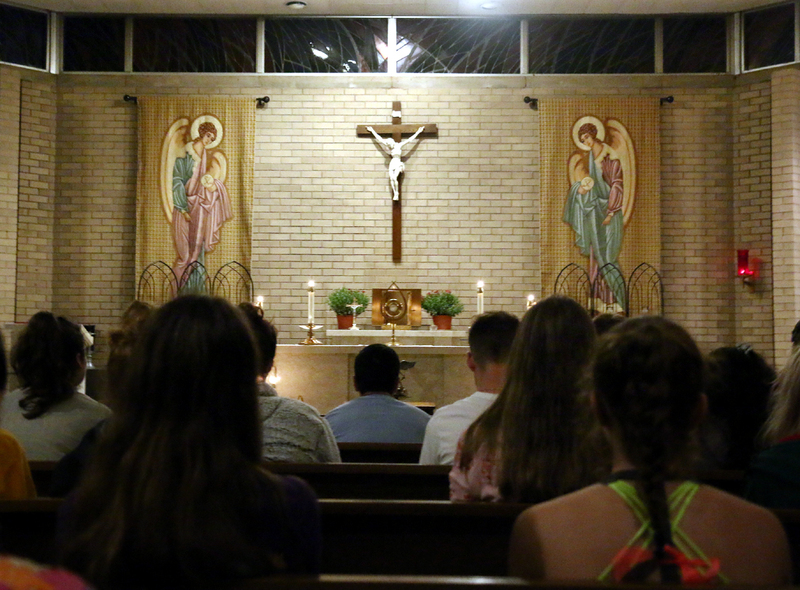 Eucharistic adoration is central to the weekly meetings of the Genesis group at Archbishop Carroll High School.